Randolph, Massachusetts is a city in Norfolk County, Massachusetts, United States. As of the 2000 census, the town population was 30,963. The ZIP code of Randolph is 02368. Randolph adopted a new charter effective January 2010 providing for a council-manager form of government instead of the traditional town meeting. Although it retains the word Town in its official name, the council-manager form means that it is legally a city in Massachusetts. It was called Cochaticquom by the local Cochato and Ponkapoag tribes. The town was incorporated in 1793 from what was formerly the south precinct of the town of Braintree. It is a widely-held assumption that Randolph was named after Peyton Randolph, first president of the Continental Congress. Randolph, MA, with surrounding areas in Randolph, Avon, Holbrook, Canton, Brockton, Braintree or Norfolk County, is home to Boston Tae Kwon Do Academy, a Martial Arts facility that focuses on Kids Martial Arts, Krav Maga, Muay Thai Kickboxing and Fitness Kickboxing. 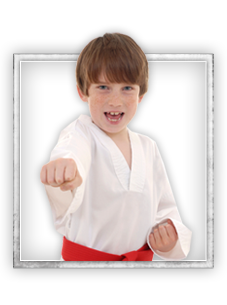 Randolph, MA, with surrounding areas in Randolph, Avon, Holbrook, Canton, Brockton, Braintree or Norfolk County is home to Boston Tae Kwon Do Academy, a Martial Arts facility focusing on programs in Kids Martial Arts and Krav Maga.